Dr Slavka Draskovic is experienced leader and executive, with expertise in leadership in organization and in anthropology of success. 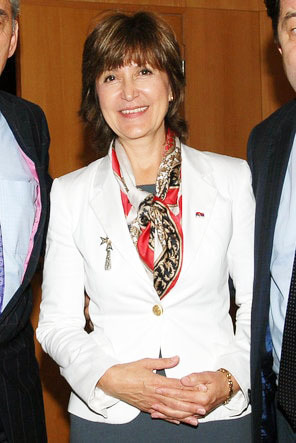 She led for years overall Operations in Serbia of several US Serbian Diaspora organizations like the SUC, Studenica Foundation and SUC Serbia, and was responsible for strategy and execution of the companies plans and development. She has experience in program lead for Serbian Diaspora key initiatives in Serbia. Slavka Draskovic is professor at Singidunum University, Executive and Success Coach. Dr Draskovic worked as the Director for Diaspora and Serbs in the region Directorate of the Government of the Republic of Serbia. Her business background also includes multinational corporations as ABB and Combustion Engineering. With 25 years of international business and teaching experience in US, Europe and Serbia, and leading researcher in leadership development and coaching, Dr Draskovic has guided numerous students, but also executives and business leaders in their academic and carrier development. Dr Draskovic has herself more than 20 years of executive experience in leading US and Serbian companies which brings added value and applied knowledge to her classes. Slavka Draskovic is a Board member of the Marko Jaric Fund, Board member of the Association of the Inventors of Serbia, and at the Advisory Board of Crvena Zveda Rowing Club. Slavka Draskovic holds Certified Coach Diploma, Diplomas of the “Inventor’s Association of Serbia”, Diploma and golden flag of the “Culture and Education Association of Serbia”. She has also been honored by the Serbian American Diaspora “Serbian Unity Congress” Diploma and from Serbian Diaspora in Russia “Zemjacestvo” medal.